CicloSDias - Do you want to bike, walk, stroll or skate with your new friends from Sunday Assembly? Join us! Do you want to bike, walk, stroll or skate with your new friends from Sunday Assembly? Join us! Please join us for San Diego's second FREE open streets celebration. This event is open to anyone who wants to bike, walk, stroll or skate, as long as they're using a non-motorized vehicle. Families and pets (on leashes) are welcome. 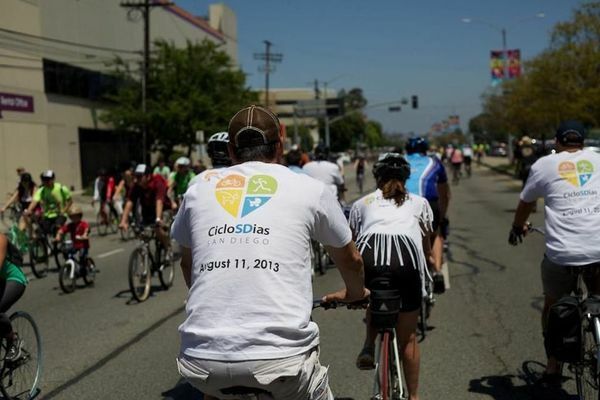 CicloSDias is coming to Pacific Beach and North Pacific Beach! Look for Jeff, who will be wearing a Sunday Assembly T-shirt on Turquoise St & Cass St at 10. You can also join the team at other entry points in the route.